Byttebier en zonen. When the production was moved to Morocco, I moved with it. 1992 till 1998 I was General Manager of Palacio Shirt Company in Casablanca Morocco. over the 2 subcontractors. The production went entirely to the Belgian Company Byttebier en zonen. 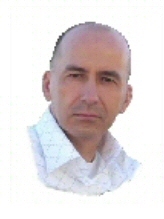 End 1998 till end 2003 I was founder and general manager of Sofema Shirts in Basarabi Romania. The company made 3000 shirts/day and employed 500 workers. ranked on basis of declared bruto profit. production capacity of 1000 pieces a day. bed sets per day. In 2007 I sold the company. Quality Control and Inspection Procedures AQL. Folding of classic man shirts. I can demonstrate and instruct the worker. Company work flow and work flow documents. Factory set up. Number of workers per operation. Stability of productivity. Shirt pattern developing, including the base pattern with pen on paper. Lectra pattern making. I have a certificate of Lectra pattern and marker making. and constructed an interlining press for several companies. Spencer needle free procedure or the C-TPAT requirements for export to the USA.